Scientists were able to track an asteroid from space to earth and recover pieces of it for the first time ever. See how scientists were able to catch a shooting star and check out our list of must-reads that will have you chatting at the lunch counter, over IM or wherever it is that people actually talk these days. Scientists were able to track an asteroid from space to earth and recover pieces of it for the first time ever. 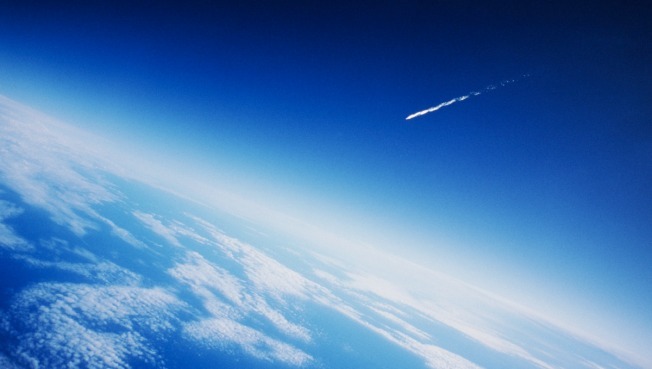 Researchers spotted the "shooting star" over Sudan in October and were able to find nearly 280 pieces of meteorite in the Nubian Desert. The largest rock recovered was the size of an egg. KFC is filling potholes in one Kentucky town and stamping the new pavement with a stencil that reads "Re-freshed by KFC." The new marketing campaign is the latest in a series of service ads like Charmin's public restroom roll-out in Times Square. The aim is to build good will toward the brand. It seems everyone wants to start a garden now that the Obamas have planted one -- but not everyone can have a garden that yields free food, as the White House would lead you to believe. Maintaining a garden will gobble up weekends, cost a whole bunch and will more likely yield frustration than an eggplant. Leave the food growing to the professional -- the farmers. One in six British therapists say they have tried to "cure" homosexuality in their patients through methods that can be harmful, according to a new survey. Treatments used to involve giving patients shocks when they view homosexual imagery but now different techniques are used to "control" feelings and thoughts. Starbucks is coming out with a four-flavor line of ice creams that cost $3.99 a pint. The flavors are associated with the coffee chain's beverages and will include carmel macchiato, mocha Frappuccino, java-chip Frappuccino and coffee.